From the construction boom to violence against women, refugees to the Gezi protests: a Berlin exhibition of modern Turkish photography captures the Bosphorus nation’s turmoil through journalistic yet artistic images. The range of themes covered in the exhibition is huge: refugees, the war in Syria, police violence in the Kurdish areas of Turkey, the construction boom and gender issues. 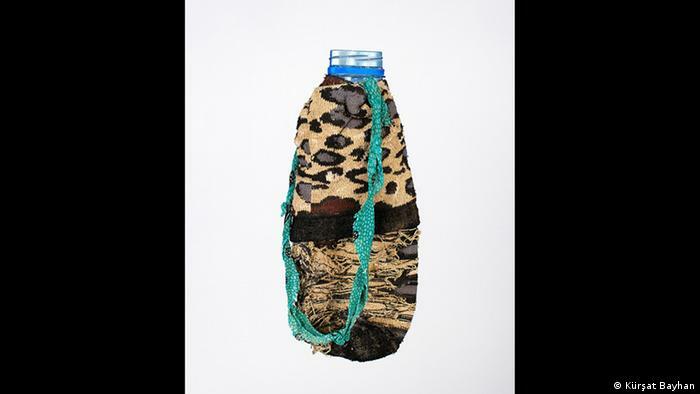 Kürşad Bayhan’s photos of bottles that have been decorated by Kurdish women symbolize the war-like conditions in southeastern Turkey. The title of the exhibiton, “Türkiyeli,” means “from Turkey.” The rooms of the gallery “f hoch 3” in the Kreuzberg district of Berlin, where many Turks live, are filled with selected works by seven emerging Turkish photographers. 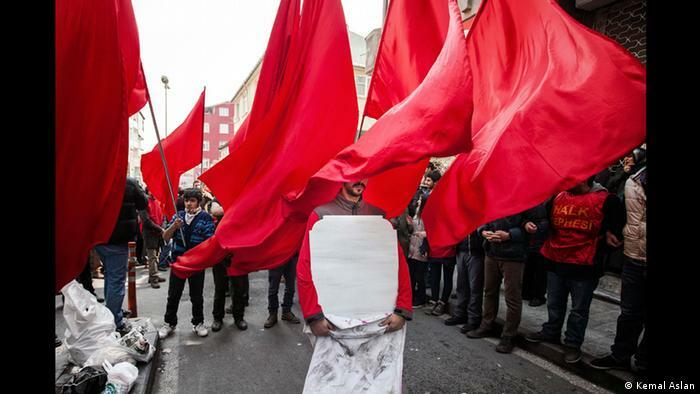 They document the devastating turmoil and upheavals in their country: civil war-like conditions in the southeast, the war in Syria, refugees, the Soma coal mine disaster, the Gezi protests, the huge construction boom and violence against women. The exhibiting photographers, who include Kemal Aslan, Emine Akbaba, Goksu Baysal, Kursat Bayhan and Barbaros Kayan, critically approach these topics. Pictures hang on the walls and a video flickers over a screen. Ceren Saner also belongs to the circle of artists whose work is exhibited here. The photographer was born in Istanbul in 1991. Her photo series “Isn’t it love” shows blurred, partly touching bodies. Faces are not visible. 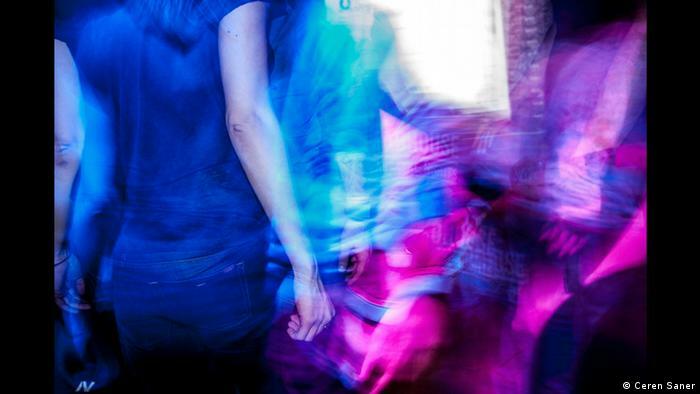 The photos, taken mainly at queer parties, were only briefly visible in Turkey. The reactions to her pictures are usually positive, says Saner. “People often tell me that the photos are different from typical depictions.” Because she does not show people’s faces in her photos, the focus instead is on the emotions and the movements depicted in the scenes. At the same time, Katharina Mouratidi says that the exhibition deliberately avoids any kind of polarization or evaluation. She argues that the exhibition presents a generation of photographers that is young, independent and objective and whose work incorporates a reporting style, whereas traditional Turkish photography is predominantly filled with landscapes and portraits.